Hardware has come a long way since Perfect Prototype first tried out virtual reality back in the 90’s. It’s finally a viable tool for education and marketing, and Perfect Prototype’s long experience with Augmented Reality translates to quickly and affordably building virtual reality experiences. Almost everyone has personal smartphones these days. It is extremely simple to create a unique virtual reality experience by someone using their personal smartphone coupled with a headset. This is one of the most accessible forms of consumer VR use. 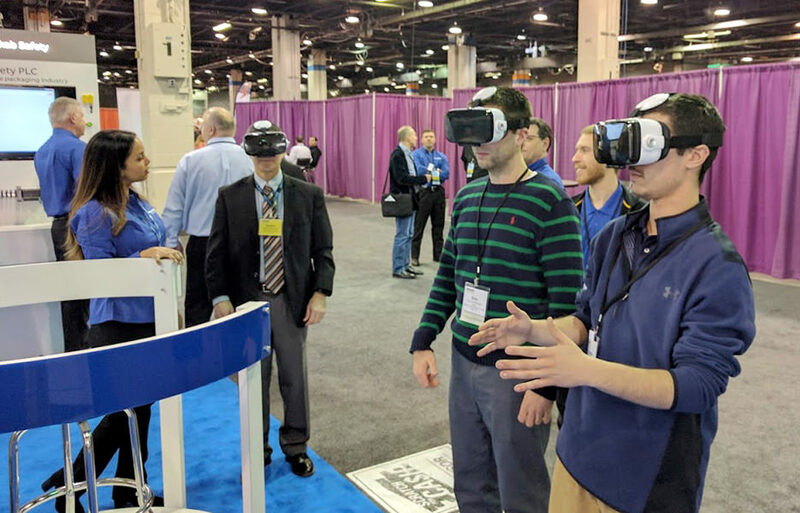 Using virtual reality as an effective marketing or educational tool is simple. VR lets users explore virtual environments at their own pace making each experience personal. We have utilized HTC’s Vive headsets and various iterations of Google’s tango, daydream, and cardboard platforms. Using props (like a stationary bike) to create an immersive game where users interact with the props to affect the game (i.e. pedal to control where they are on a VR course). Creating a trade show competition app that allows 10 phones to connect to a local network and compete for the top of the leaderboard for a prize. Develop a unique educational experience letting visitors explore virtual environments they are usually unable to visit (i.e. flying through the human body or “visiting” an area at a specific period in time).